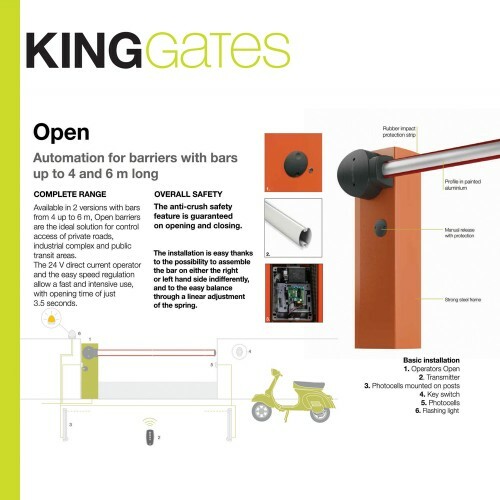 Open barriers are the ideal solution for automating road crossings in residential, commercial and industrial contexts. 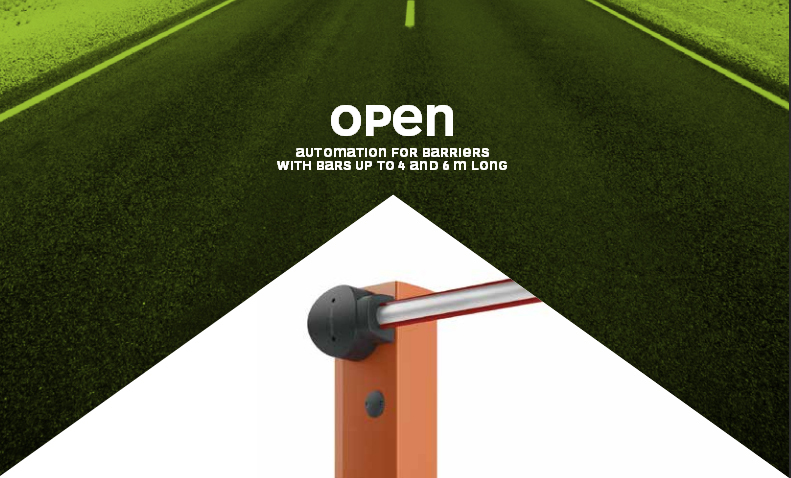 Open is available in two versions: with bars of up to 4 or 6 m.
Thanks to the 24 V DC gear motor and possibility of regulating speed, it can satisfy a range of different requirements in terms of frequency of use and opening speed, which can reach 3.5 seconds. 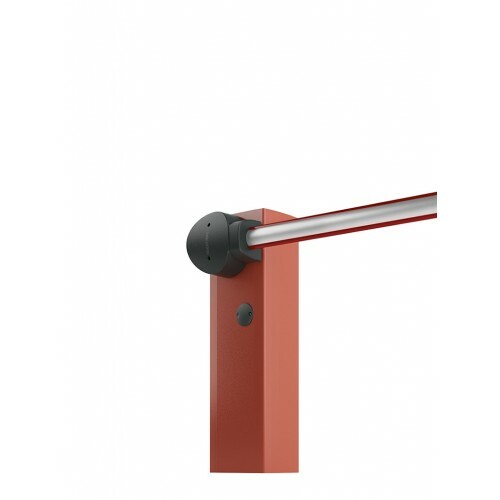 Installation is made even easier by the possibility of mounting the bar either on the right or left and balancing by linear regulation of the spring. Automation safety is guaranteed by electronic management of crush protection during both opening and closing. The electronic heart of the product is well protected inside the metal structure and accessible only by means of a personalised lock. The 24 V direct current operator and the easy speed regulation allow a fast and intensive use, with opening time of just 3.5 seconds. 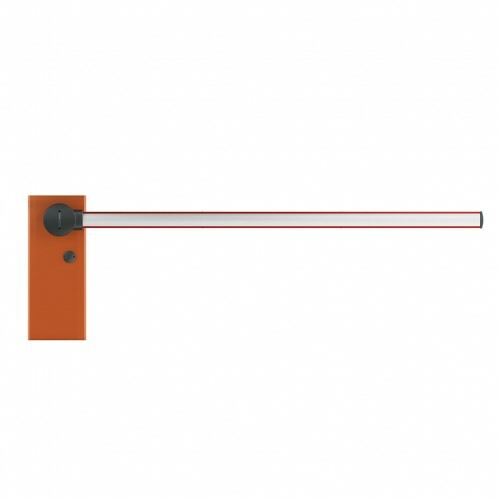 The installation is easy thanks to the possibility to assemble the bar on either the right or left hand side indifferently, and to the easy balance through a linear adjustment of the spring. The anti-crush safety feature is guaranteed on opening and closing. 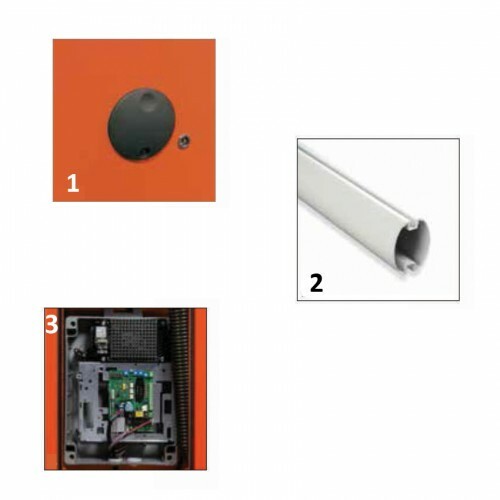 The control unit is protected by a metal frame and accessible just by a customised lock. accessory, guarantees operations also in case of black-out. 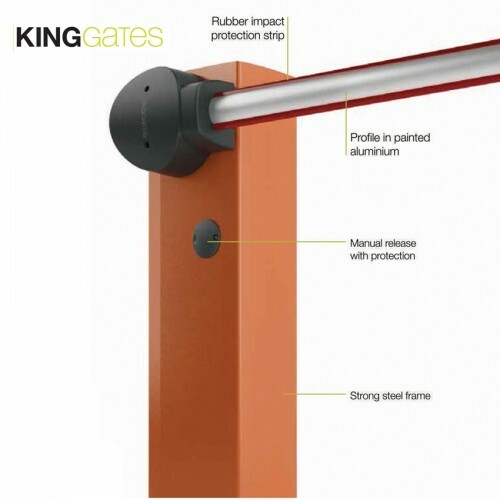 Open barriers are completed by a wide and innovative range of accessories. The painted aluminium bars are extensible through strong joints that facilitate their transport and installation. 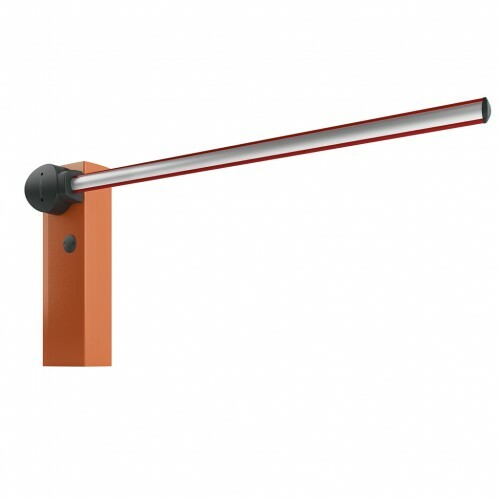 The joint for bars allows installations also in underground garages or where the height of the ceiling doesn’t allow the installation of standard bars. 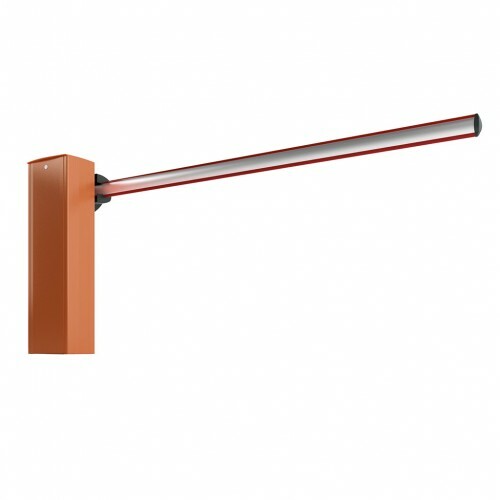 The led lights efficaciously signal the opening and closing of the bar.